Clover took her new friend Tomohiro to the L.A. Burdick Chocolate Shop and Restaurant in Walpole, NH. Burdick's made a special Year of the Rabbit chocolate assortment for Chinese Lunar New Year, with a special rabbit shaped chocolate bonbon. 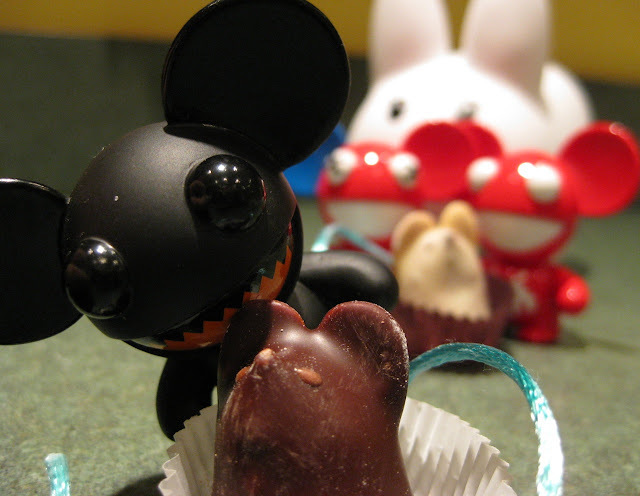 Surely they'll have something rabbity for Easter, but until then, Clover had to take one of the mau5es to see the famous chocolate mice from Burdick's. 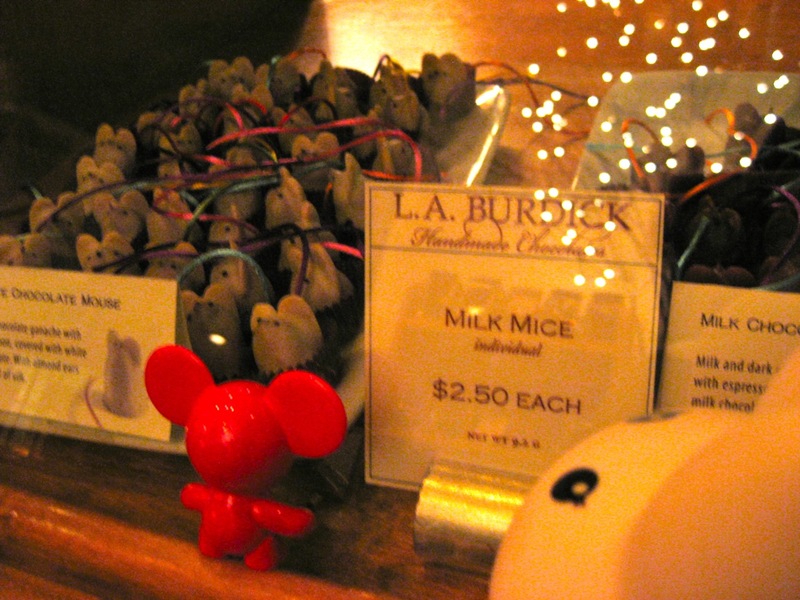 L.A. Burdick features handmade chocolate bonbons and truffles in imaginative flavours, but they also have a wonderful cafe and restaurant. Tomohiro and Clover sampled a few chocolates before taking a white chocolate mouse and a milk chocolate mouse back for Joel and Zim. As you can see, Zim really likes chocolate.